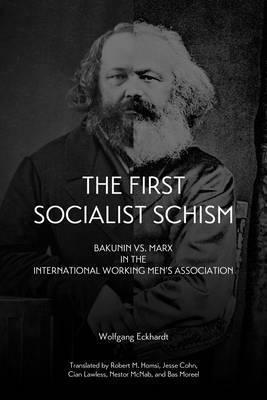 The First Socialist Schism chronicles the conflicts in the International Working Menâ€™s Association (First International, 1864â€“1877), which represents an important milestone in the history of political ideas and socialist theory. The separate movements in the Internationalâ€”which would later develop into social democracy, communism, and anarchismâ€”found their greatest advocates in Mikhail Bakunin and Karl Marx. What made the conflict between Bakunin and Marx so important was that it heralded the first socialist schism between parliamentary party politics aiming to conquer political power and social-revolutionary concepts. Instead of focusing exclusively on what Marx and Bakunin said, many other contributions to this debate are examined, making this the first reconstruction of a dispute that gripped the entire organization. This book also provides the first detailed account of the Internationalâ€™s Congress of The Hague (September, 1872), famous for the expulsion of Bakunin; including the background, the sequence of events, and international reaction. The book sets new standards when it comes to source material, taking into account documents from numerous archives and libraries that have previously gone unnoticed or were completely unknown.